It’s hard to believe that yesterday was August 1st! It’s quite fitting that August begins with the letter ‘A’, since it’s a month of many firsts. Sure, it’s technically still summer, but it doesn’t always feel like it. It’s a transition. With school beginning either the end of this month or very beginning of September (depending on location), August 1st is like the trough on a wave and we spend the month climbing to the crest…that peak from which kids tumble off to school and fall settles in quietly. In fact, August 1st even marks the ‘first harvest’ in many traditions and faiths (including both Christian and Pagan). Referred to as Lammas or Lughnasadh, it’s celebrated as the first wheat or fruit harvest, hence the name meaning ‘loaf-mass’ and the traditional breaking and sharing of bread. And for those who like to read and/or analyze Shakespeare plays, he made Juliet’s birthday (Romeo & Juliet) on “Lammas Eve”…the eve of August 1st. Analyze that! Oh, and there’s more. On August 1st, 1968 The Beatles recorded their first record (Hey, Jude)! Going back even further to Aug 1, 1774, oxygen was first discovered by Joseph Priestly! And this month in 1955, the first edition of the Guinness Book of World Records was published. Rula and Catherine met in person for the first time at this year's RWA Nationals in San Diego! On a more personal note, August ‘firsts’ also include life’s little turning points like first day of preschool or first grade, or high school or college. So, in the spirit of August, we thought it would be fun to celebrate some of our personal firsts :). And we thought it’d be even more fun if we made you match ‘firsts’ to both of us ;). First child was born in August. Began daydreaming/plotting my first book in August. First historical fiction written was for an 8th grade assignment and was set in ancient Rome. And, yes, a bit of romance was squeezed in. First wasp sting occurred on her wedding finger and was so bad it almost resulted in having to cut off her wedding band. Ooooh and here's a trick question. Let's see who has been following us on social media! Are these lilies Rula's or Catherine's? When I was very young, probably about six, (I’d actually been cooking for awhile by then, mostly tomato soup and peanut butter sandwiches) my Mother gave me my first cookbook. It was beautifully illustrated and each recipe also contained a fairy tale. There were Little Red Riding Hood muffins. A bacon and lettuce sandwich based on the Three Little Pigs. 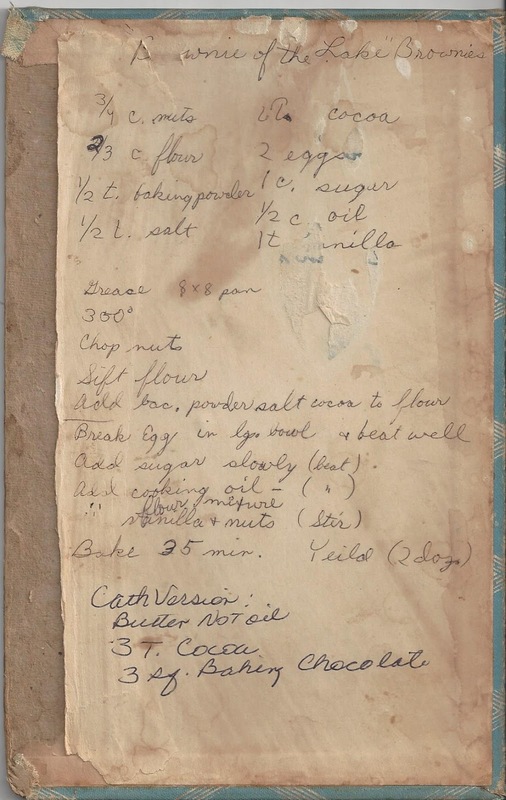 But my favorite was “Brownies by The Lake.” Here’s my handwriting when I was probably about ten by then, because the cookbook had been destroyed. If you can’t read my ancient scribble, here’s the recipe I’ve altered to use today. Cream these till very smooth. I cheat and put the butter in the microwave for 15 seconds only. I melt the chocolate in the microwave and then stir in the Cocoa after the chocolate is melted. We’d love to hear about your fun firsts or about what makes August feel like a month of firsts to you! And we’ll post the correct answers to our Rula/Catherine firsts in the comments after we see how you all fare with guesses ;). Let the fun begin! 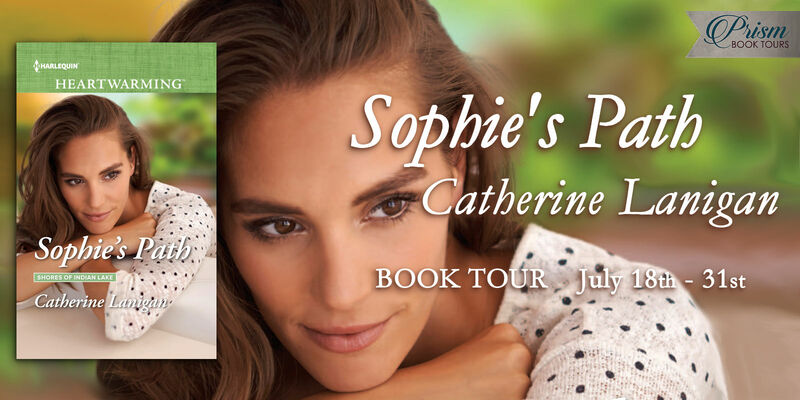 Also: Catherine is still on tour with www.Prismbooktours.blogspot.com until August 18. 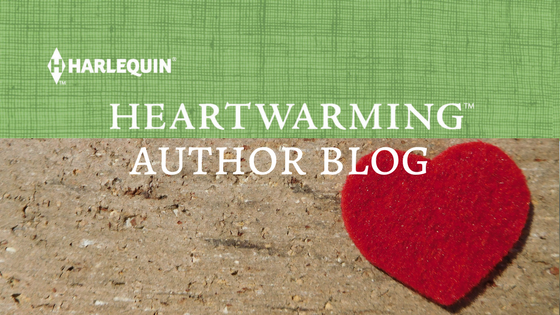 She and the other Heartwarming Authors, Kate James, Karen Rock and Amy Vastine are still touring with TLC book tours. Come join the fun! 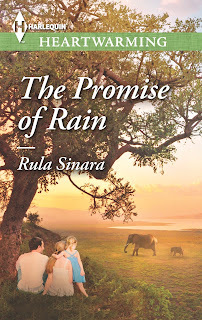 Thanks for the fun post, Rula and Catherine! I know who the lilies belong to, and I know the answers to a couple of your firsts. Other than those, I would be guessing. Since my birthday is in August, I'd say that's a fairly important first for me! Well, we'll post the correct answers tonight :). And yes! I remember you're an August baby! Another great first for this month :)!! Happy Birthday in advance! I love Leo ladies...and gents, too. And Kate, you are top of my list. My first editor, Page Cuddy's, birthday is in August. We are still close. I think it's the zing in August vibrations! I'm not even guessing, and somehow I even missed who the flowers belong to, but I'm like Kate (my birthday is today), so it's important for me, too. A wonderful post, Catherine and Rula, and I'd really like some of those brownies! Aww . . . happy birthday, Liz!!! Just saw on FB that it's your Bday! Happy Birthday, Liz! Looks like a lot of awesome women were first born in August ;)! Happy Birthday, Liz! Hooray! Another Leo in my life. Love this!!! All that fire and drama! Trust me, the brownies are killer! Good morning, Catherine and Rula! My only guess is that the movie contract was Catherine's. Not that Rula doesn't deserve a movie deal, but am guessing that hasn't happened yet?? My first marriage was August 10th, and it's still going on! Happy Birthday, Liz! And happy upcoming anniversary! I'm guessing you were beyond worth keeping around, Muriel :). You're so sweet and kind! Muriel, that really IS a first, isn't it! Happy Anniversary! You ladies are so clever, and I know that would be the case at the first of every month. Happy birthday Liz. Happy upcoming anniversary Muriel, and happy birthday to whichever of you had that August baby born. That brownie recipe is far too tempting in the morning. Here's wishing you both many more exciting firsts. And many great first to you too, Roz! You're so wonderful you deserve fabulous firsts AND...those brownies ;)! I know I'll be trying that recipe this week! LOL, Sandra, about saying goodbye to peace and quiet when your siblings were born! I'm sure many can relate lol. And yes, this year's RWA was extra special :). It was a magical time, I have to say. And way too short. Wow. BOTH siblings in the same month. Pretty cool, Sandra. Thanks for stopping by. August is my brother's birthday. It's in 5 days! So excited for him to turn 16 this year. It was an exciting post today. Happy Birthday Liz Flaherty! Kate, have a wonderful birthmonth! Evelyn, I have to tell you that I always say, Happy Birth MONTH, why not celebrate for 30 days instead of just one. So, I never get upset if someone forgets my birthday. It's all good. Happy B-day to your son, Evelyn! I love the idea of a month birthday ;). You two always write fun posts. I have an idea about who belongs to which firsts but I will wait for the answers! Have a great day, ladies!! You'll have to tell us how you did after I post the answers lol! My first child was born in August. And I have a grandson born in August as well. Thank you for reminding me it is coming up! Lol Love this post. And Happy Birthday Liz and Happy Anniversary Muriel! What fun. These are tricky questions, but I’ll give it a shot. Happy birthday, Liz and Kate! Happy Anniversary, Muriel! Happy back-to-school, moms and dads. Happy August, everyone. Hey, Beth! I love that you gave it a shot! Let's see...you got some right...and some wrong lol ;). Hee hee. Not telling the answers yet. Stay tuned! Since I butted right into this blog, I do want to thank everyone for the birthday wishes! We don't mind, Liz! The more the merrier! We love celebrating with you and all the August bdays :). I'll add that there's no greater first than being born! The rest can't happen without that first lol ;). 6. First celebrities met in person were Queen Elizabeth and Prince Philip = Rula (I was approximately in my tweens and living in Algeria when they came to visit a group of expats at one of the local churches. I have a picture standing in front of them in a line to say hello and maybe I curtsied. Gosh I hope I did! And the lilies belong to...Catherine! Thanks for having fun with us today! I hope everyone has a spectacular August and many wonderful firsts to come :)! Oh, I was just going to guess, but oh no, I had quite a few wrong. You guys are so fun.